Lack Jemmon come together to share 1 hour of the freshest trap and future bass sounds, from around the world! Tune in. 01. Lack Jemmon - Can't U Feel? The duo of Lack Jemmon was founded by Kid Panel and DJ Clairvo during the summer of 2013 in order to bring their musical vision alive - the marriage of tricky glitch-hop, heavy bass-music and happy funk. Their productions have been picked up immediately by the Best New Label of Breakspoll 2013, Scour Records offering the first deal to the guys. 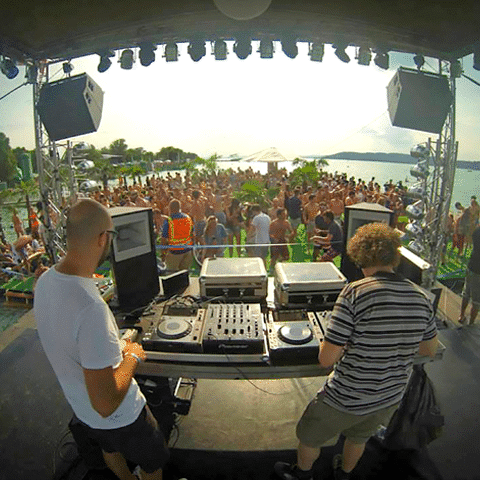 By now, their tracks are being played all around the globe, enjoying the full support received by the majority of the scene of bass heavy funk music, which has lead their remix made for See-I and for The Empresarios on Fort Knox Recordings ending up at the 2nd place of Beatport's Glitch Hop Charts and remaining in the Top100 for months. Nowadays, having released decent amount of free downloads on their Soundcloud, Lack Jemmon still keeps on delivering chart-banger tracks on labels suchs as Breakbeat Paradise Recordings or Bombstrikes Records, hitting the Top-10 Charts of Beatport and JunoDownload. In their DJ-sets, the Lack Jemmon dudes throw a unique blend of dynamic hip-hop, big-city funk and dirty breakbeats what they have been introducing to their local Budapest crowd at their club-nights as well as to the dance-floors of Barcelona, London, Berlin or Bristol on regular basis so far. Follow us on Mixcloud for more such podcasts. Hey Buddy!, I found this information for you: "Trap & Future Bass 001 | Lack Jemmon". Here is the website link: https://themusicessentials.com/the-podcasts/trap-future-bass-001-lack-jemmon/. Thank you.